Download A Free Copy of Our eBook "Intermodal Misconceptions"
Intermodal is commonly thought of as slow, unreliable, and complicated but that is not the case with today's door-to-door intermodal service. The railroads have made and continue to make substantial investments in infrastructure, technology and people to give intermodal truck-like characteristics, while being cost and transit competitive on lanes over 700 miles. The investments have positioned intermodal as the fastest growing segment in the domestic transportation and pushed what many call the highway to rail conversion to the next level. 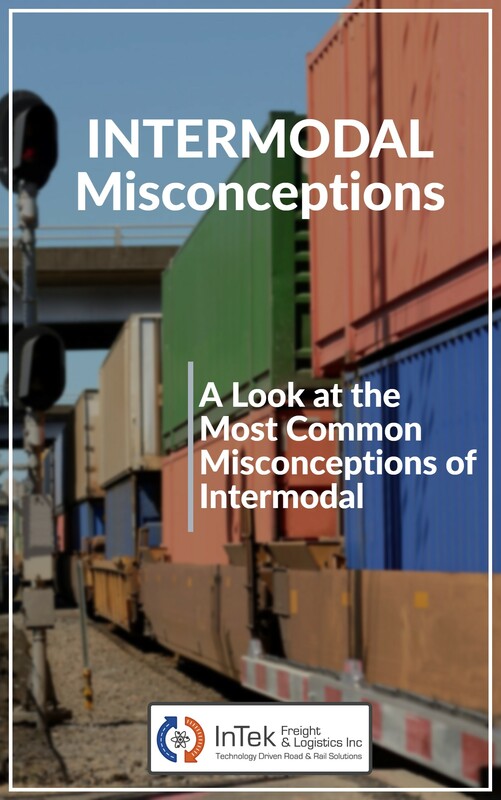 Our eBook "Intermodal Misconceptions" will shed light on the most common misconceptions and show how intermodal can be beneficial to you! Simply fill out the form below for your free copy!